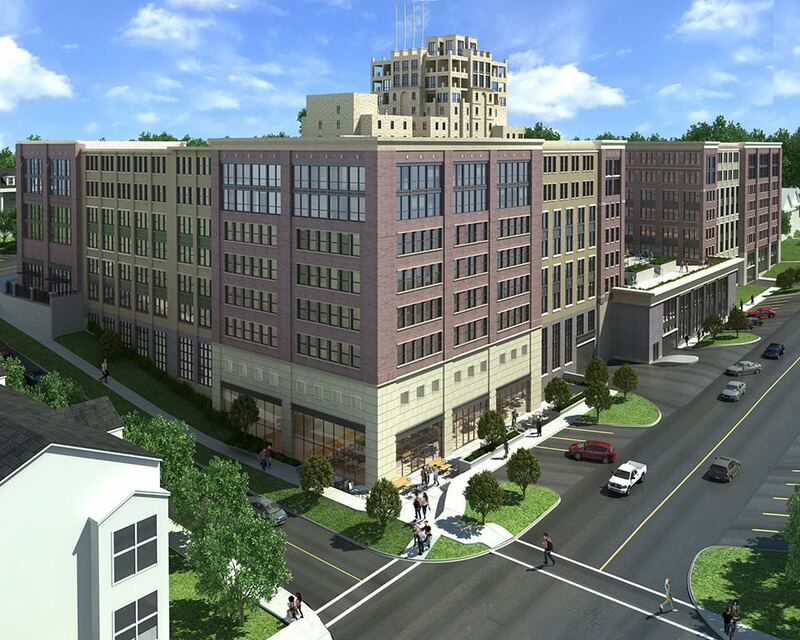 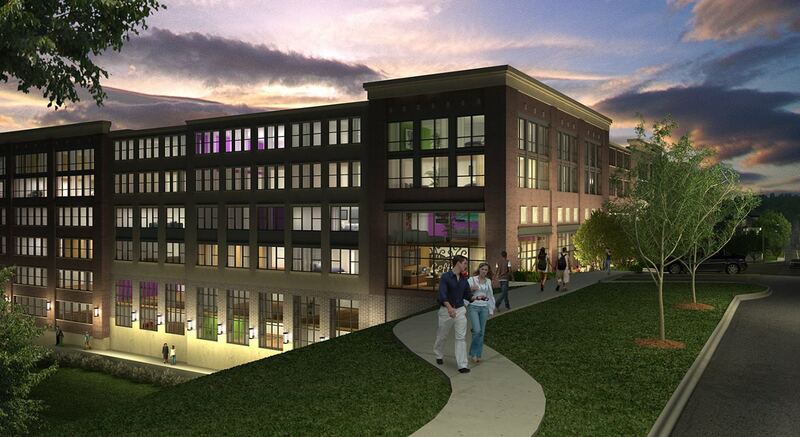 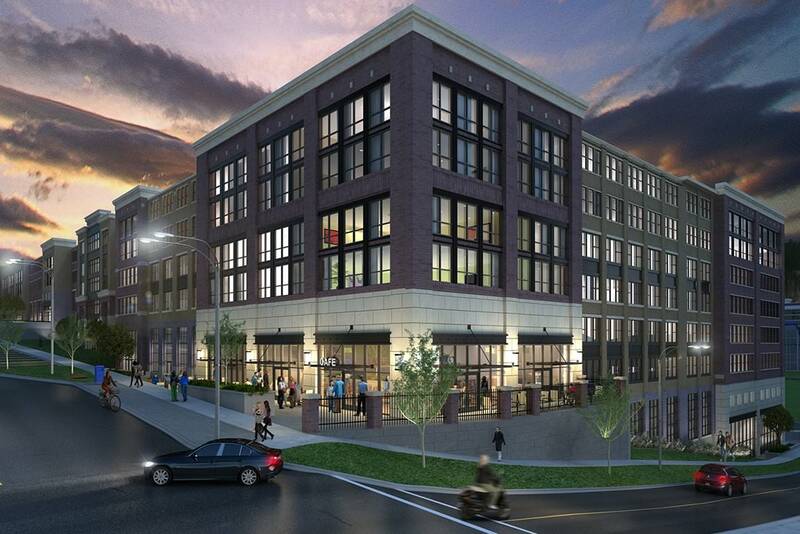 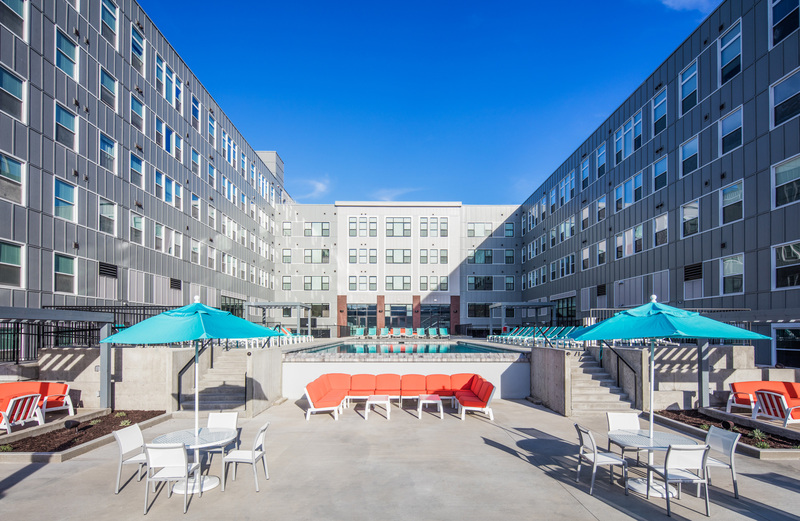 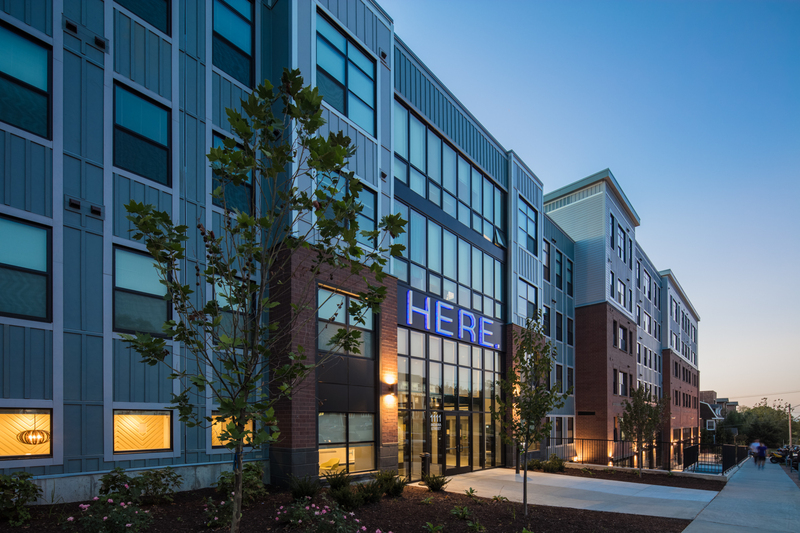 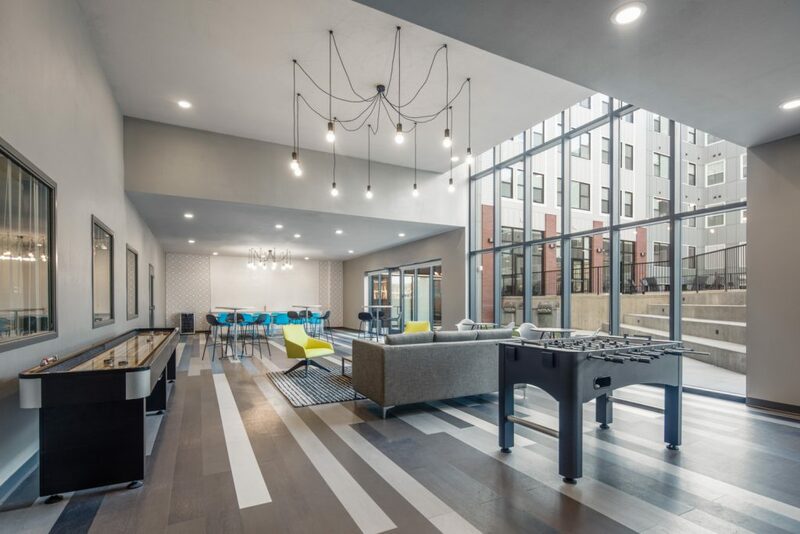 Located on a block-long site across the street from KU’s Memorial Stadium, HERE KU features 175 student apartments and 15,000 SF of retail space within a 420,000 SF mixed-use development. 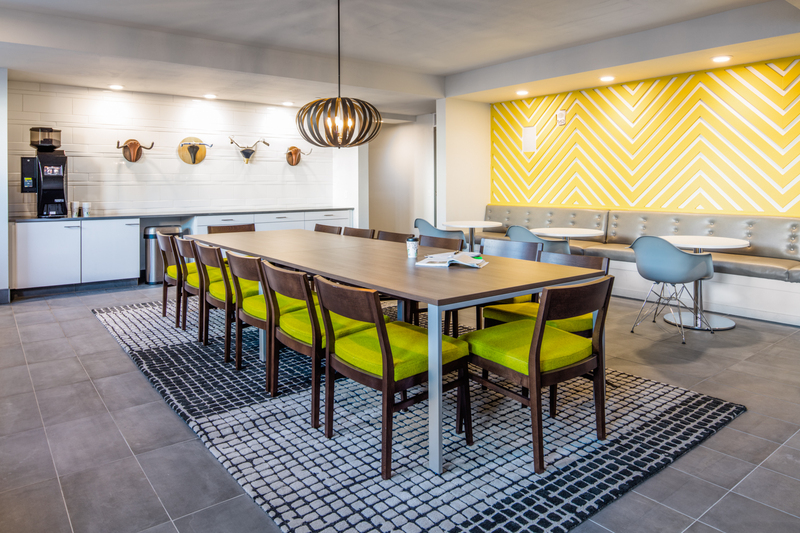 Double- and quad-suites offer private bedrooms and double-height living areas. 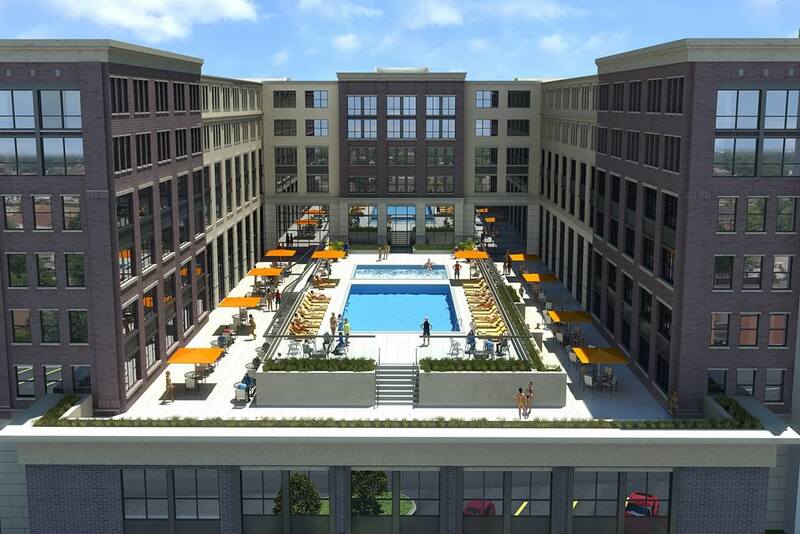 Abundant amenities include a 30,000 SF roof deck with a terrace and swimming pool, a fitness center and club room.